The “MyObservatory” is a highly popular weather app providing personalized weather services. 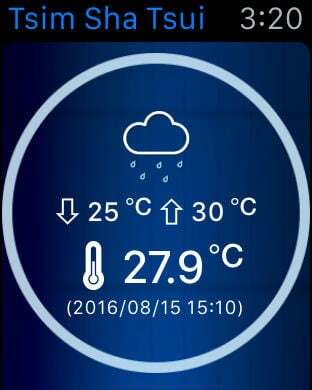 The app provides current weather including temperature, relative humidity, rainfall, wind direction and speed, as well as weather photograph collected from nearby weather stations at user's location, specified location, or selected weather stations. Weather photos and rainfall data will be updated at 5-minute and 15-minute intervals respectively. Other data will be updated in 10-minute interval and the update time will be displayed at the bottom of the front page. 1. The notification service of weather warnings, Special Weather Tips, and Location-based Rain Forecast is provided through the Apple Push Notification service (APNs). The Hong Kong Observatory cannot guarantee the reception of the above notifications by users. Users should not rely on the mobile app as the only means for reception of important weather information. Depending on factors such as network usage and quality of user's mobile phone connection, it may take 5 to 20 minutes or even longer for the app to receive the notification after it is issued by the Hong Kong Observatory. 2. 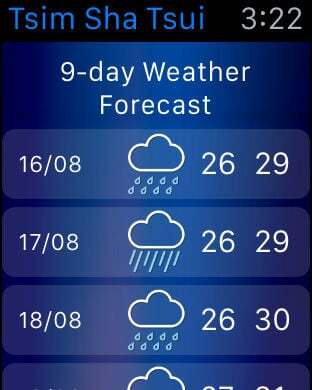 Use of Location-based Rain Forecast notification will increase the battery usage and data download slightly. Users who wish to save battery usage of the app may enable the notification function in rainy days and before outdoor activities, and disable the function in sunny days and after finishing the outdoor activities. Meanwhile, selecting options of less frequent update and lower position accuracy in the advanced settings of the notification function may also save battery usage. 3. Although the “MyObservatory” is a free app, user will be charged by their mobile network service provider on the use of data service. These charges can become very expensive on roaming. Please ensure that the option of “Data Roaming” have been disabled in the settings of your mobile devices. 4. In the "My Location Settings", users can opt for using the automatic location service provided by the smartphone, or designating "My Location" on the map themselves. This location will be displayed on the main page and in "My Weather Report". If your location cannot be found, "My Location" will show the last location which was successfully found or "Hong Kong Observatory". The meteorological data displayed on "My Location" or the station you added is provided by meteorological stations nearby, and is not necessarily from a station in the same region. In case meteorological data is not available from nearby stations, data from other meteorological stations at headquarter of the Observatory, King's Park, and Star Ferry will be used instead. 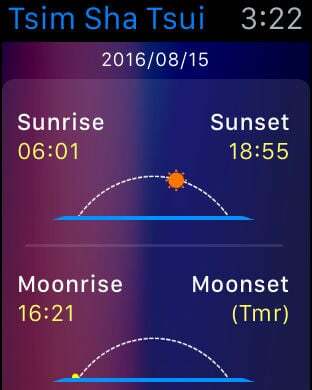 If this is the case, the symbol ▲ will appear to the left of the updated time. 5. 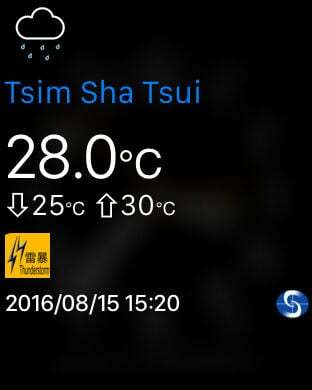 The location displayed in the function of "My Weather Report" is provided by third party provider. 6. Because of the variation in both the terrian and height of where the weather stations located, and the variation of your location estimated by the mobile phone, users be noted that there would be difference between the actual situation and the weather information shown on "MyObservatory." 7. 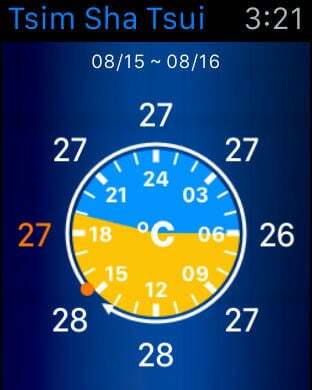 The clock on the main page of the app is displayed with HKT synchronizing automatically to the Observatory's Internet Time Server, and may not be the same as the time displayed on the smartphone. 8. The app provides link for users to browse the Observatory's Facebook Page. Users may choose to log in his/her own Facebook account. More features of Facebook can be used after logging in. Please be reminded to pay attention to the notes of the Facebook Page, and the privacy policies of the Facebook platform.